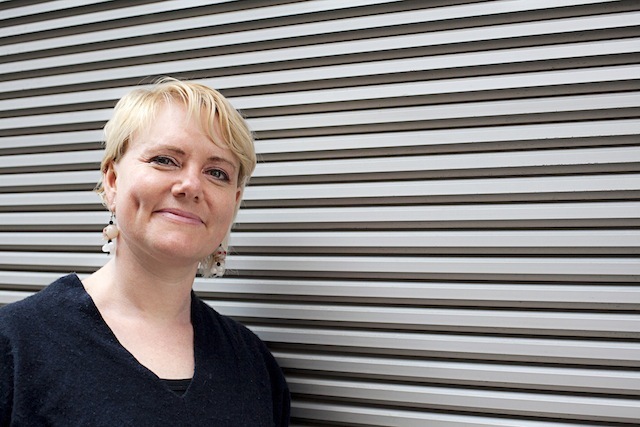 The past 12 months laid the foundations for what should be a transformative 2014, writes D&AD president and Mr President creative partner, Laura Jordan Bambach. As someone with a digital bent, change is my currency. It scares and excites me. It keeps me playful and gets me out of bed in the morning. It's the uncomfortable, disruptive constant that is either always getting in the way at the last minute, or giving birth to Doge (for those who know their memes). Still, when it comes to predictability, 2013 proved to be a bit of a monumental WTF, no? The term "selfie" is now in the dictionary. A music video was shot in space. We have also had "twerking" and the Edward Snowden revelations - both equally stupefying in their own right. It feels as if we're a bit shell-shocked at times, too, struggling to hit the high notes. Admittedly, the high notes were sensational - GoldiBlox's "Girls" viral was a phenomenal piece of marketing, and Paddy Power's "Rainbow Laces" campaign might have divided opinion, but I struggle to recall a brand cashing in its social currency to drive change in such a brash, head-turning and admirable fashion. Throw in Jean-Claude Van Damme pulling the splits between two moving (and reversing) Volvo 18-wheelers, and it really does feel as if 2013 was the year of WTF. So, as we kick off 2014, what can we learn from 2013? We need to be harder on ourselves - pure laziness and fear of change are holding back brands and agencies from doing great work. However, to enable that, the creative job spec needs an overhaul too. The kinds of creative people we need to drive industry forward do not, by and large, tend to be the ones we award, celebrate, support or even hire. This must change. Why not mix all three? Digital channels have torn down that walled garden. We need to be aware of what moves people and how to be relevant in a multitude of places, but also we need to understand the global competition. Nothing has blown me away more this year than seeing the quality of design work within the Indian market. It's time for us to earn that title of the "creative economy". We could learn a lot from our musician friends in how to use genuine voices to create joyful work that connects with people - see Converse's inspirational Hack-a-Chuck series last November. Clever brands are putting social into the hands of the most adept senior marketers and creative thinkers, opening a new world of insight and dialogue. Personally, I think 2013 has set the foundations for an incredibly exciting 2014, full of change and possibility. I'm looking forward to more WTF moments; to seeing what new creative excellence and talent will inspire and surprise us at the D&AD awards; and to experiencing the wonderful new ways in which we can explore the intersection of the physical and digital worlds. However, and perhaps most importantly, I'm looking forward to simply committing to being more playful. Time is short and budgets are squeezed, but we are in danger of not digging deeper, of discovering the magical ideas that bubble up through the subconscious. So, as the time for resolutions approaches, I would encourage you all to make that commitment to block out the noise and open up some space to let those serendipitous moments happen. In a live test to demonstrate the "precision and directional stability of Volvo dynamic steering", Jean-Claude Van Damme takes the stand on top of two Volvo truck wing mirrors on a closed-off landing strip in Spain. The vehicles start to reverse and slowly split apart - just enough for Van Damme to perform his trademark splits as the sun rises, accompanied by a soundtrack from Enya. Client: Lars Terling, head of global marketing communications, Volvo Trucks. Branding is kept to a minimum in a folk tale about fate shot by The Royal Tenenbaums director Wes Anderson. The "Castello Cavalcanti" short film is set in 1955 and shows a brash US racing driver crashing into a monument in a sleepy Italian village. It stars long-time Anderson collaborator Jason Schwartzman. In this spot promoting GoldieBlox, a brand that makes construction toys for girls, a Rube Goldberg machine - an over-engineered device that performs a simple task in a complex fashion, via a chain reaction - is created by three girls. The original version of the film, designed to smash gender stereotypes, was set to a rewording of the Beastie Boys' anti-feminist track Girls, but a legal wrangle between the company and the band has led to the track being removed. Client: Beau Lewis, creative director, GoldieBlox. 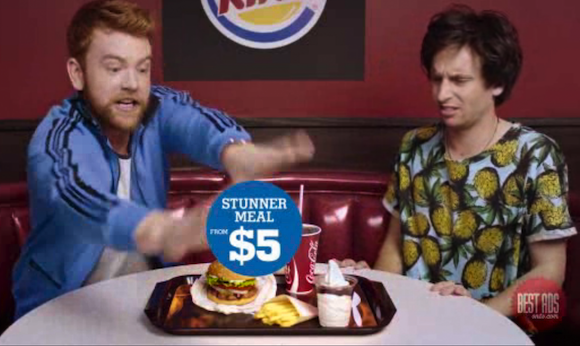 Rather than making one YouTube ad, Burger King made 64, based on the insight that "no one hates YouTube ads more than Burger King's young dude target market". Each ad was customised to humorously play on the YouTube clip people wanted to watch, including "animal attacks", screaming goats, TV host Jimmy Fallon or the trailer for Anchorman 2: the Legend Continues. Clients: James Woodbridge, general manager of marketing, and Rachel Morriss-Jarvis, marketing consultant, Burger King New Zealand. 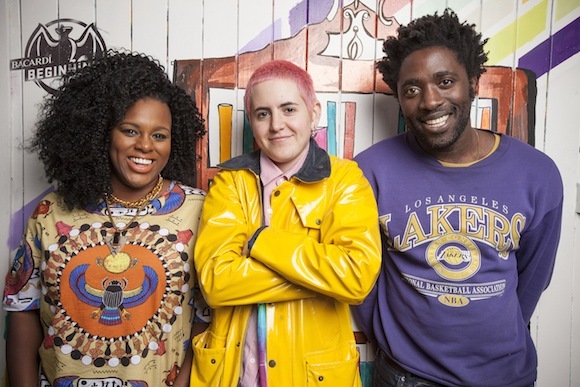 Bloc Party's Kele Okereke and emerging artist Bobbie Gordon will release an original track called Down Boy through the "world's first 3D-printing record store" as part of the Bacardi Beginnings music-mentoring project. Technologist Amanda Ghassaei has developed a way of converting digital audio files into 3D-printable records for a central London pop-up shop, while designer Kate Moross has created limited-edition record sleeves. Client: Vicky Beercock, UK PR, music and event specialist, Bacardi. 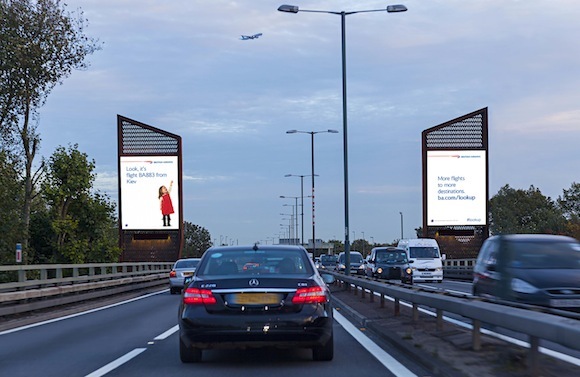 Custom-built surveillance technology has been integrated into video billboards at Chiswick and Piccadilly Circus in London to allow a child on the display to point to specific British Airways planes flying overhead. 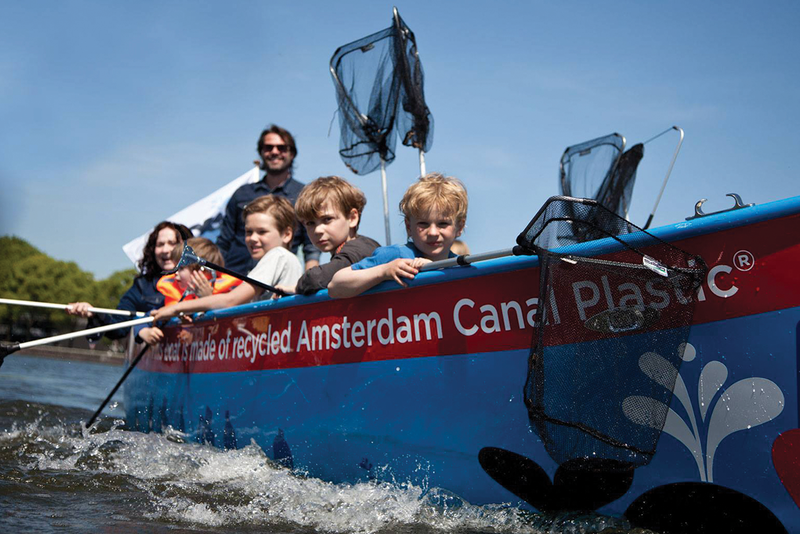 The child identifies the flight number of individual aircraft and the destination from which it is flying as the billboard updates in real-time. Client: Rebecca Leng, direct retailing manager, and Katie Youell, retail marketing executive, British Airways. Creatives: Emma de la Fosse and Charlie Wilson. 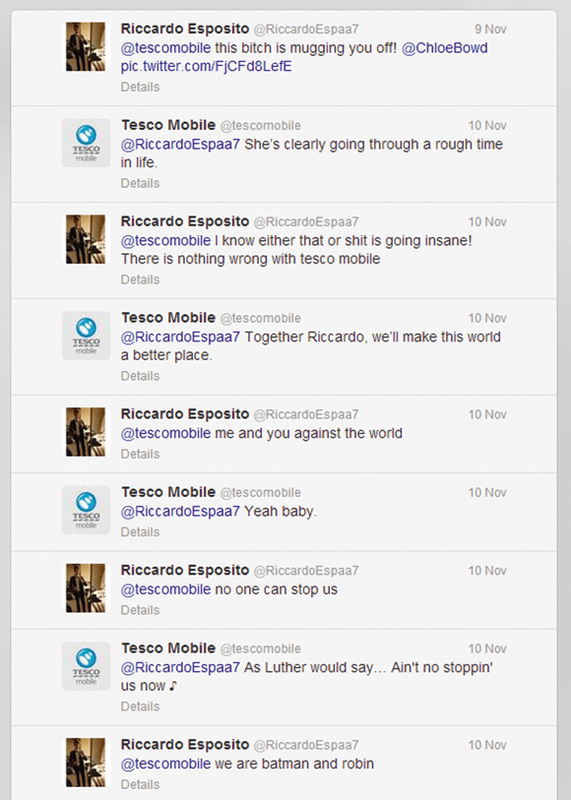 Tesco Mobile has taken its conversational approach to its Twitter feed to a new level by engaging in a hilarious debate involving brands such as Yorkshire Tea, Jaffa Cakes and Cadbury. Banter between Tesco Mobile and a member of the public escalated to surreal heights when Yorkshire Tea jumped in, and ended with the mobile brand and Jaffa Cakes trading light-hearted insults. Walking miles to a clinic, being kicked out of home, giving birth alone and waiting to find out whether your baby has HIV - all are shown here as happening to women in Western society. The film transposes the experience of HIV-positive African mothers into the narrative of a Western woman living in a big city and dealing with an overstretched health system. Client: Emma France, European director, Mothers 2 Mothers. Creatives: Shelley Smoler and Raphael Basckin. Web users get a break from filling out frustrating Captcha authentication forms and are invited to open a virtual KitKat, rather than deciphering garbled text and numbers. People can swipe along the foil by using either their finger on a touch screen or a mouse on a PC in order to verify it is a human trying to access the web page, rather than a bot. Client: Gill Watson, head of the KitKat business unit, Nestle UK & Ireland. Agency: JWT London and Future Ad Labs. Creatives: Barry Christie and Stuart Wilson. 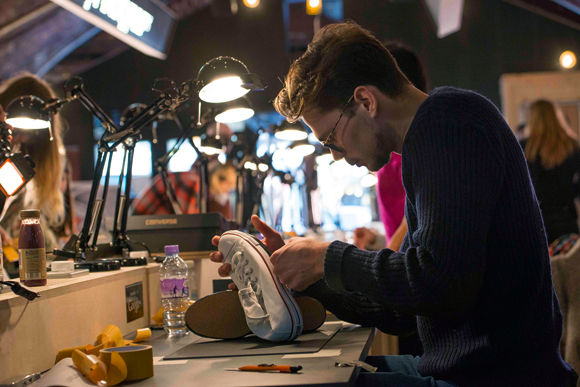 Converse fans, art and tech "visionaries" and the wider Google+ community were invited to the Hoxton Gallery to integrate technology into Chuck Taylor All Star trainers. The five-day "Chuck hack" event was attended by creatives including Patternity, James Dawe and Leafcutter John. Clients: Kristofer Crockett, EMEA digital communications manager, Converse. A film crew walked nearly eight miles daily over the course of 11 days while filming a cast of 400 using a Steadicam-mounted camera for "the world's first 24-hour music video". The 24-hour reworking of Pharrell Williams' Happy track from Despicable Me 2 can be viewed on a dynamic website that allows viewers to jump to anywhere within the track to view cameos from stars including Steve Carell, Jamie Foxx and Magic Johnson. Creatives: We Are From LA.